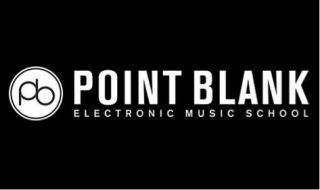 PRODUCTION EXPO 2014: Point Blank has been voted 'Best music production and DJ school' by DJ Mag and is 'the Global Electronic Music School' for producers, sound engineers and DJs. With the help of our Ableton-certified tutor Freddy Frogs, we compiled 30 quick-fire tips for Ableton covering a range of areas, with something for beginners and advanced users. Freddy is an online tutor here at Point Blank, so make sure you check out the details here if you're interested in learning more about Ableton - this video barely scratches the surface! We invited MAKJ to the Point Blank studios to find out more about how he produces using Logic Pro. You can watch him break down his track Encore below. Make sure you subscribe to our YouTube channel for more free tutorials, artist interviews and live events, and check out our Logic Pro online courses here. For more information, visit the official Point Blank website or connect with us via Twitter, Facebook, YouTube and Google +.